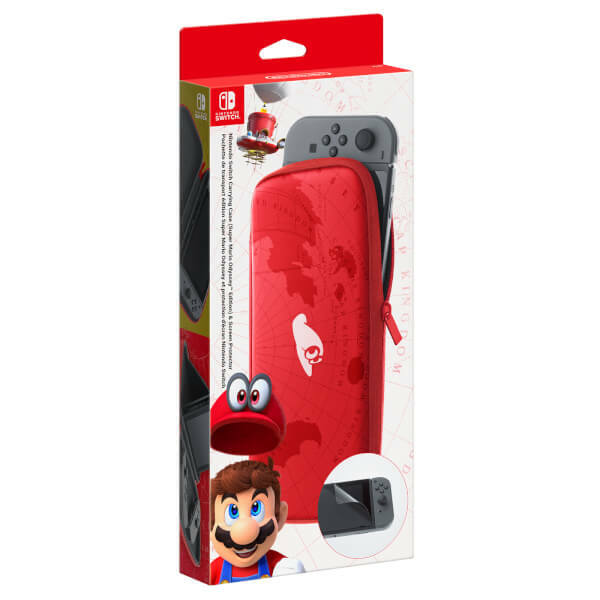 Enjoy the Super Mario Odyssey home console experience anytime, anywhere with this Super Mario Odyssey Edition Nintendo Switch Accessory Set. 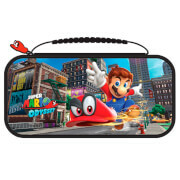 This pack includes a Super Mario Odyssey-themed carrying case for your Nintendo Switch console and a screen protector for the console’s screen. 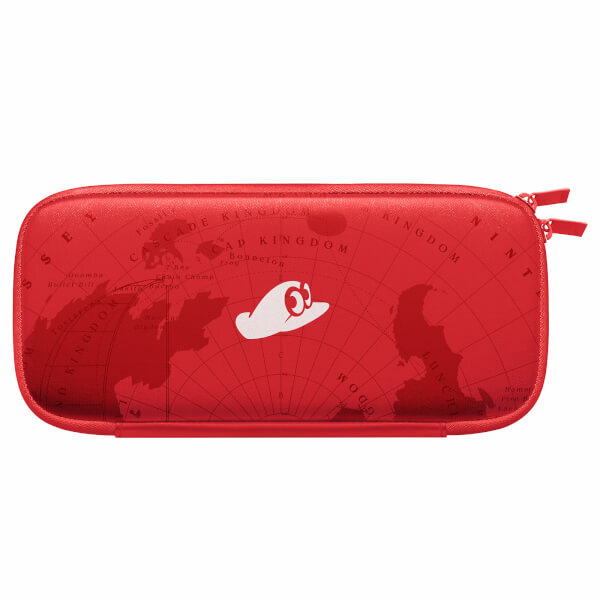 This case features a map of the Metro Kingdom in the classic Mario red design! 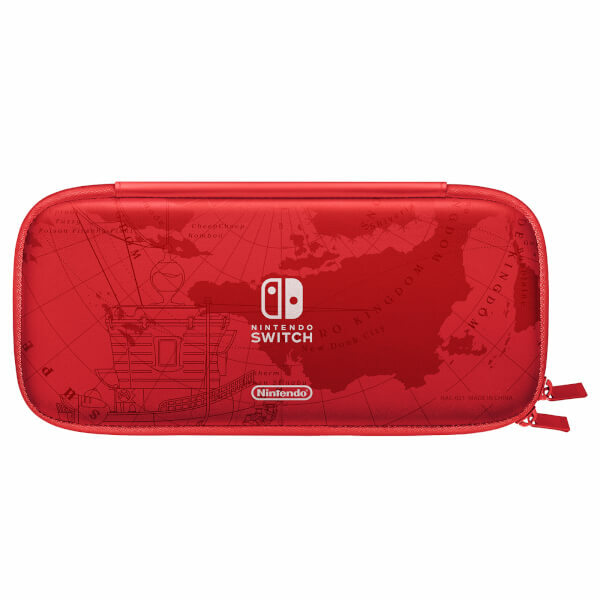 Not as good a quality as the much cheaper comparable cases. 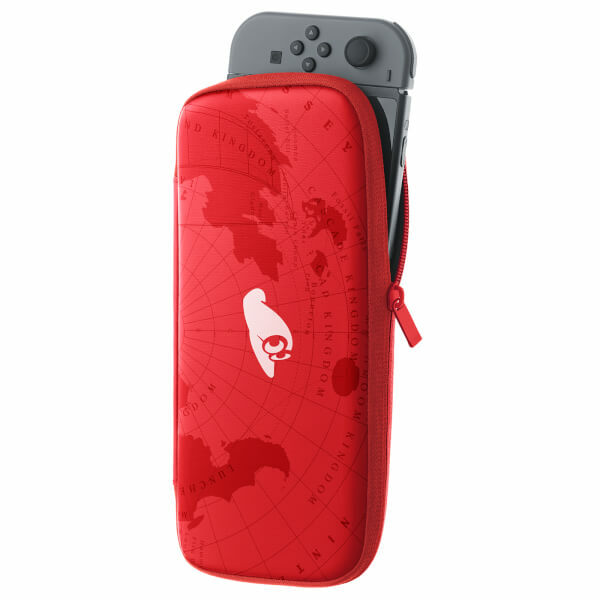 also no pouches or straps internally as others do! I bought this as a present for. My 10 year old grandson. He is very discerning and he lived it.